After so many weeks of being on the go-go-go, it's nice to be able to slow it down for a weekend in. It helps when, because of the rain, you can't even get to the pool. And let's be honest, for a parent with little kids, going to the pool comes with it's own long list of things to do and remember before you even get there. This past weekend was more of a "stay inside and find something to do while Mom tries to squeeze in a little sewing" kind of weekend. This was not met with much enthusiasm by my children who, about 2 minutes after breakfast, declared themselves bored to tears, wanting somewhere to go. Not even watching the movie Frozen for the 635th time could entice them to sit still beyond the "Let It Go" song. Poor Olaf. Mom on the other hand would have been perfectly happy snuggling down into the couch to catch up on video podcasts and Orange is the New Black. While I ended up mostly playing board games like Candy Land and Disney's Eye Found It, I did manage to squeeze in some sewing time and work on this low volume patchwork I've had in the WIP pile for several months. I used 2.5" strips from my stash and randomly sewed this scrappy quilt together. I didn't think it would even turn out this big, more of a crib size, but I guess it's a testament to my huge stash since I still have enough fabric in this palette left over to make 1-2 more of this size. Yikes. In hindsight I should have used more blues than pinks to be able to knock 1 of the 2 baby boy quilts I need to make as gifts. 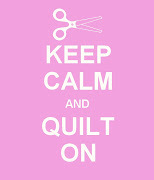 This quilt leans much more baby girl to me, and I also tend to use much brighter colors for baby quilts. I may actually quilt this one myself, since it falls under my own cutoff of "larger than a lap quilt" for sending them to a longarm quilter. I'm having so much fun, learning a lot, and working out my next steps of taking these from the page to the sewing machine. I only need about 10 more low volume weekends like this one to make it happen! You are a true artist, Tanesha! I am in awe of your sketches. 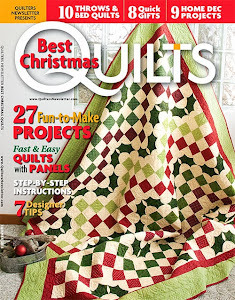 And the low volume quilt is gorgeous!